This year, a lot of IoT hardware platforms have been released, and all the semiconductor companies have finally started getting really serious about providing affordable development boards showcasing their portfolio of processors and sensors. Here are the devices that particularly caught my attention, with some links to additional educational material. 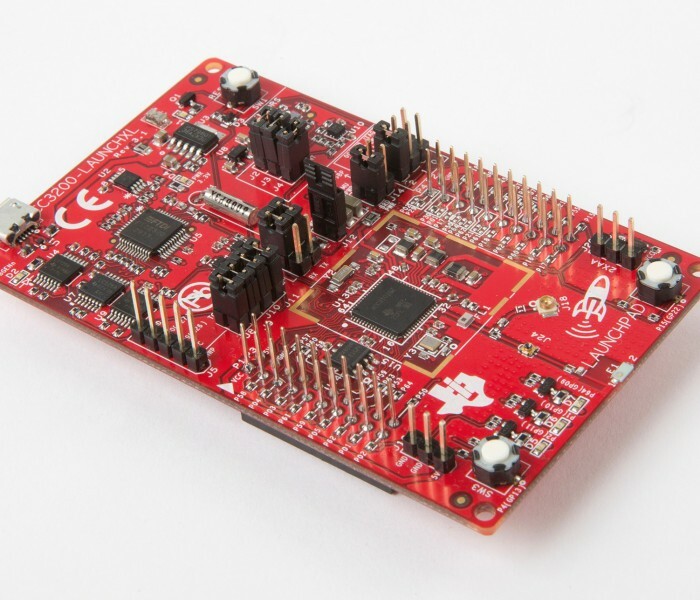 The FRDM-K64F is a development board for the Kinetis K64. 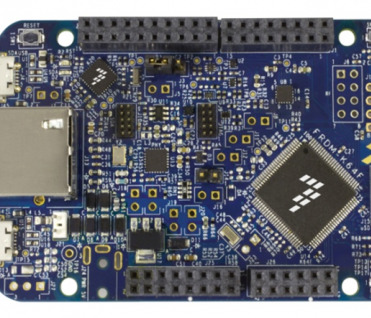 Freescale had the great idea to not only make the platform compatible with the ARM mbed platform, but also to provide a board that is compatible with Arduino shields. Since a few months, you can also install a Java ME embedded firmware on the FRDM-K64F, turning it into what is probably the cheapest Java development board on the market. The Grove platform from SeeedStudio does just that. Their simple yet very smart connectors have become the standard platform for connecting IoT sensors. 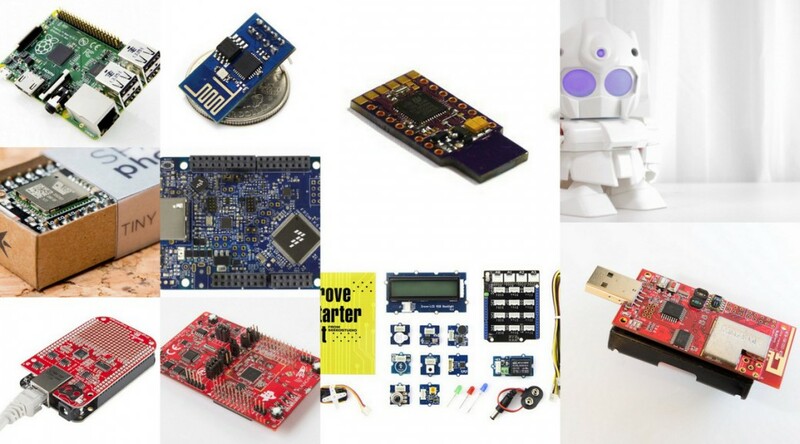 There is a huge list of sensors and actuators using the Grove standard connector, and you can literally hook Grove devices to anything, from Arduino to Raspberry Pi to Beaglebones thanks to the many shields available on the market. The Raspberry Pi Foundation really is doing a great job at keeping its very popular platform up-to-date. Every year, we get great upgrades to the existing models. This year, the model A+ brings the Pi's price tag under $20, with a much smaller form factor, and 30% less power-consumption than its predecessor. The B+ is a model B on steroids: more USB ports, more GPIO headers, and again a power-consumption that dropped by 40%! 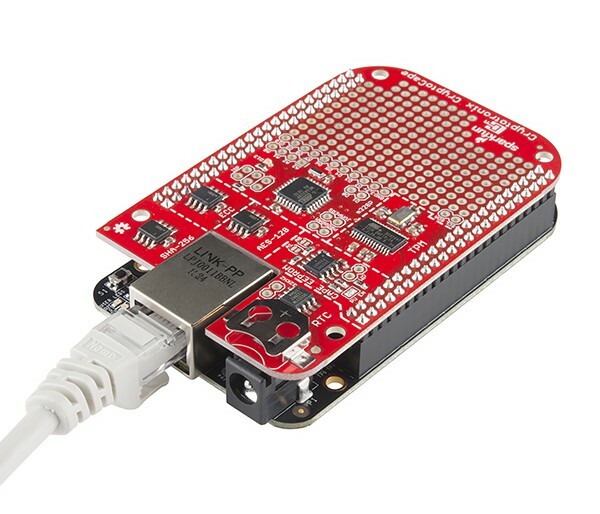 A powerful Cortex-M4 micro-controller, a WiFi module, a very complete IP stack (DNS, mDNS, SSL-TLS with hardware crypto support, ...), and tons of examples: I really liked the CC3200 user-experience. The only downside is that I had to switch to Windows to use Code Composer Studio, but if you want to use Energia you can have a cross-platform IDE and a programming model very close to Arduino. I really wanted a nice and simple platform to experiment with wireless sensor networks, 6LoWPAN and CoAP. It turns out the XM1000 is a great platform (and so is the CM5000), that comes with support for both Contiki and TinyOS. The MSP430F2618 processor brings 116K of Flash and 8K of RAM to the table, which is actually pretty decent for most use cases. 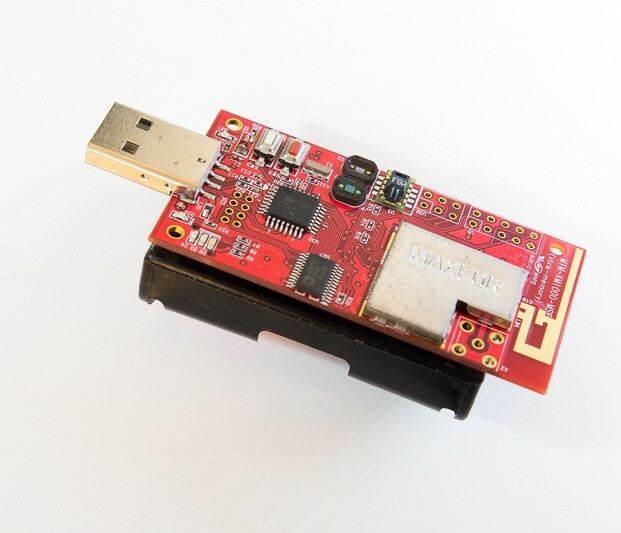 The external 1MB of Flash is also a nice-to-have if you want to store sensor data locally. A $5 WiFi programmable module? Hell, yeah! Several alternative firmwares have popped up over the last few weeks (including a Lua-based one), but the most interesting one is probably the beta version of the FreeRTOS-based SDK. 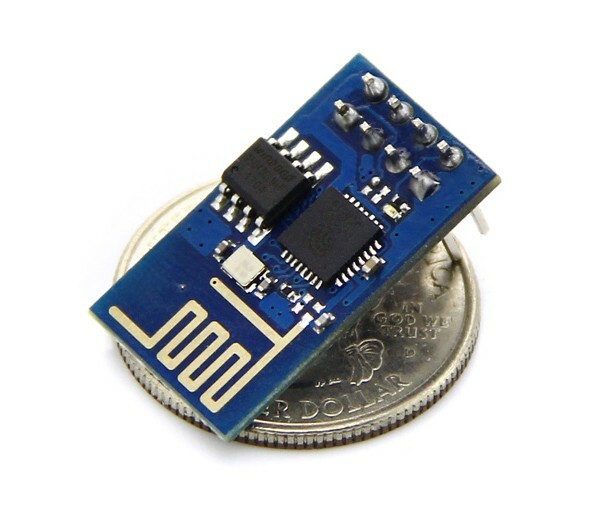 A super-tiny Cortex M3, that can do WiFi and that allows out of the box to be remotely programmed. Pretty cool, eh? You can indeed program the board either from an online IDE, or from a desktop IDE based on the Atom editor. 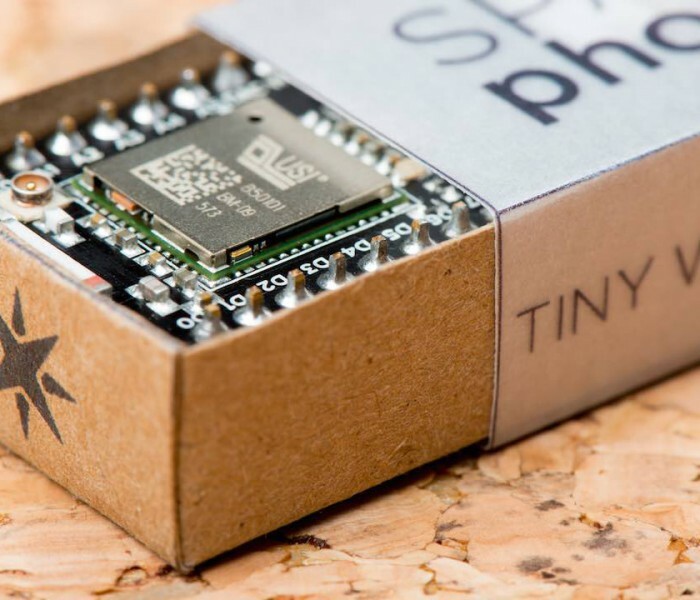 The Spark Core blueprints are available under a Creative Commons license and the firmware and CoAP-based communication stack are open source too (LGPL). 2014 has seen significant progress in the domain of security for the Internet of Things (look at IETF efforts to optimize DTLS for IoT, for example), and I certainly expect more in 2015. Last but not least, although a bit expensive, the Rapiro is a great platform for people interested in re-thinking the human-computer interactions. 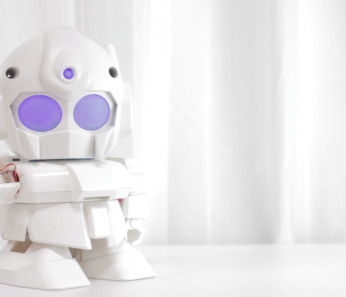 It's an open-hardware robot that is powered by an Arduino and a Raspberry Pi. Attach a Wi-Fi dongle to the Raspberry Pi and you have a wireless IoT robot that you can control using MQTT! Nice Job Ben, thank you for your efforts. 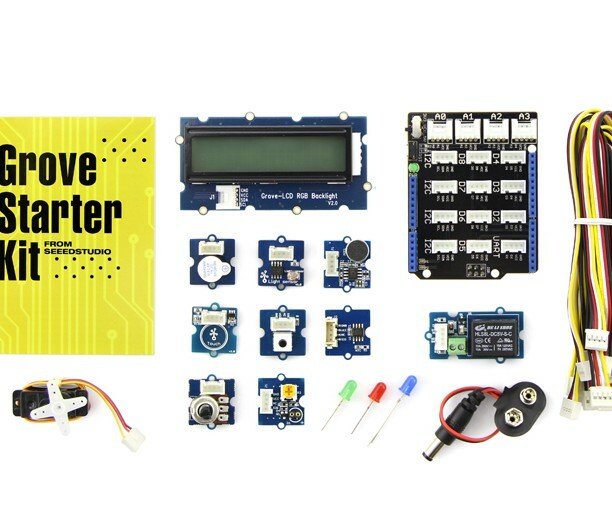 I was curious to get your thoughts on a couple of other Dev kits related to IoT. Here’s another to consider: Onion Omega (https://onion.io) is truly a board oriented towards IOT devices and projects! 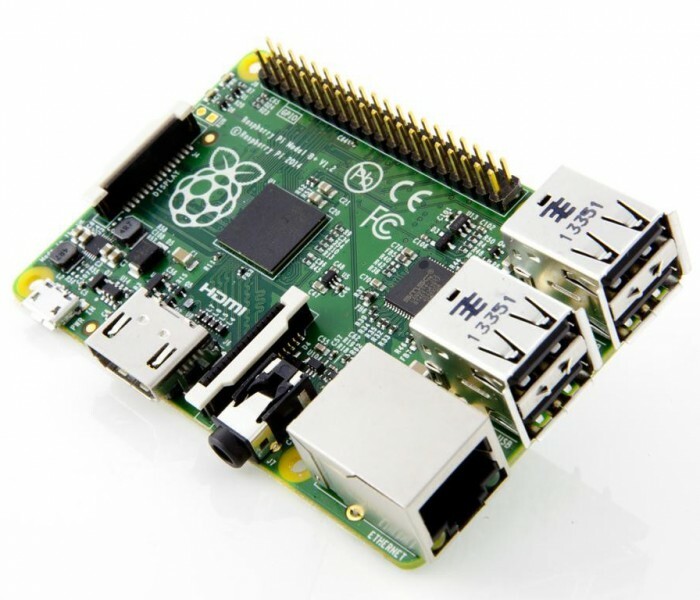 It’s super small, has built-in WiFi, runs Linux, program it using popular web languages (Node.js, Python, etc. ), lots of Expansions (bluetooth, gps, servo, etc.) to extend the capabilities, can be remotely controlled/updated via Onion Cloud and very affordable!